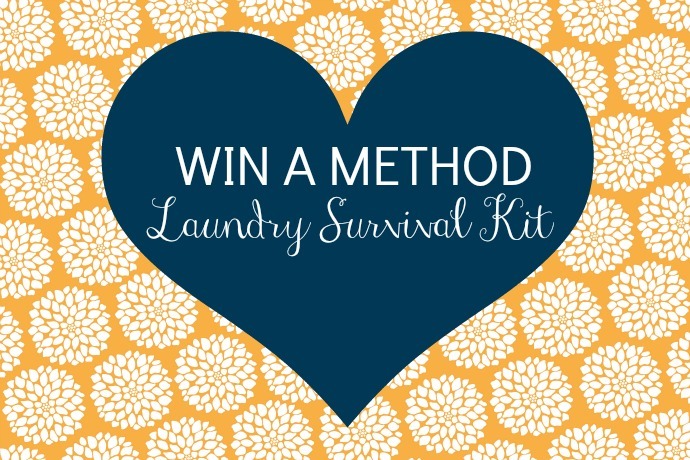 Win a Method Laundry Survival Kit! | Life Love and Hiccups: Win a Method Laundry Survival Kit! There is no other way to put it nicely really is there? It is one of those jobs that has to be done. And yet if you are anything like me you procrastinate and put it off until it gets to the point that the whole family is digging around looking for clean clothes to wear and we are completely living out of clothes baskets cause there are no clean clothes left in our cupboards. I have a tendency to over-exaggerate a little, but let's not let that get in the way of a good story right? So anyway, when you find your kids wearing undies as vests and towels as togas you concede defeat, put on your battle gear, grab yourself some coping cordial and send yourself to the front line. You head into the laundry room because you realise that despite your lifelong belief that one day the magical cleaning fairy will finally appear, that mountain of washing just aint gonna wash itself! 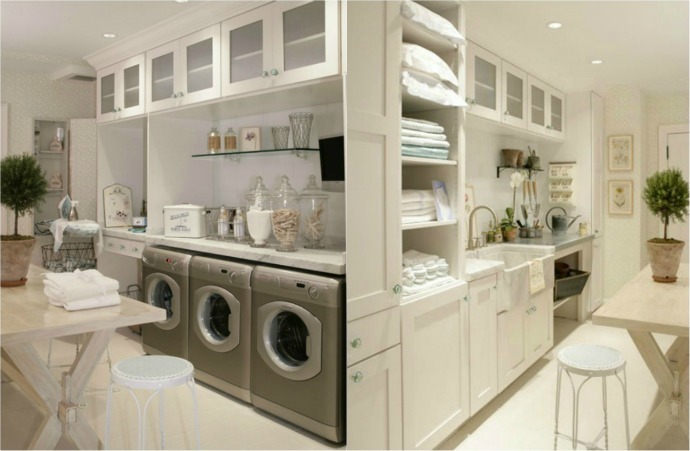 Now I wouldn't mind spending so much time washng, folding and sorting if I had a really pretty laundry to work in *hint hint hubby*. You know one that has a little desk and maybe a TV, computer and some magazines. Ideally it would also have a coffee machine and room for me to sit in the corner by the window and sip on my latte (Or Caprioska) whilst I wait for the machine cycle to finish. Not asking for much am I? Unless we win lotto or Grand Designs decides to fund a massive extension and makeover at my house, this is just not going to happen. 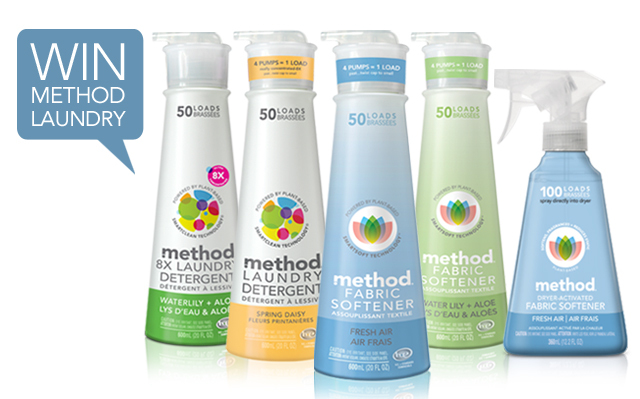 Now did you know that Method have a gorgeous range of Laundry products including Detergent, and Fabric Softeners?? 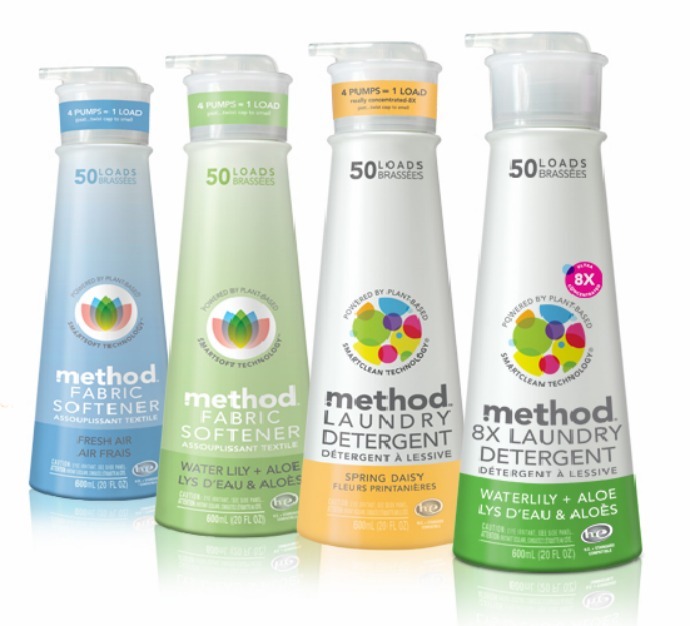 There is the Method Laundry detergent and Fabric Softeners (Fresh Air & Water Lily + Aloe) and you get a whopping 50 washes out of these products. They also have a fabulous Dryer activated Fabric Softener that smells divine.. So maybe I don't have the laundry of my dreams, but by Jeez I will have clean and beautiful smelling clothes. Okily Dokily, here's the bit I love the best - Method are giving one of you guys the chance to try the gorgeous range of Method Laundry Products for yourself by winning a Method Laundry Survival Kit (pictured above). 2. Leave me a comment telling me what was your worst Laundry disaster. Has a guest that was once staying at your home accidentally turn all your white towels grey? Have your kids ever put tampons in the washing machine to see if they will soak up all the water? How many Tissues have you washed in your lifetime??? Please tell me I am not the only one with these kind of Laundry Catastrophes??? This is a Game of Skill and the winner will be chosen for their most creative answer. PLEASE PEOPLE - either register to comment ot leave me an email address. I hate in when winners miss out because I cant get in contact with them. The Competition is open now and closes at 7pm AEST Wednesday 03/04/13.